The first Carillon vigneron in Puligny, Jehan, has been traced back to 1520 although the winery logo only boasts 1632. The Carillon holdings were incorporated as Domaine Louis Carillon et fils in 1981. This does not feel like a superstar domaine, but that is largely due to the modesty of the family and a sensible pricing policy. Nor, apart from a minute holding of Bienvenues-Bâtard-Montrachet, does it possess grand cru vineyards. Nonetheless this has been one of Puligny-Montrachet’s most consistently successful domaines over the past three decades. Tradition is the watchword here - hardly surprising for a family that can trace its viticultural genealogy back to 1632. After the 2009 vintage Louis Carillon’s two sons, Jacques and François, have decided to go their own ways. Jacques will have the Referts, Champs Canet and Bienvenues-Batard-Montrachet, François the Combettes while the remaining vineyards will be split between them. 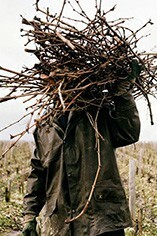 The Chassagne-Montrachet 1er Cru Macherelles is currently being sold as village Chassagne because it is very young vines, while the red Chassagne-Montrachet is likely to be grubbed up and replanted as white. The domaine consisted of 12 hectares of vineyards, the vast majority lying in Puligny Montrachet, with small parcels of vines in 5 Puligny 1ers Crus and a tiny holding in the Grand Cru Bienvenues-Bâtard-Montrachet. This domaine produced some of the most impressive wines in the village. Low yields, minimum racking and judicious use of new oak are what give the wines their intensity and discreet elegance. The wines have a striking purity of fruit, are beautifully understated, and last and last. When compared to the strength in depth to be found in Meursault and Chassagne, there are relatively few producers in the first division in Puligny. Sauzet and Leflaive may have the aura, but the wines from Jacques Carillon and his brother François are their equal and often the best of their type.